First of all, Thanks so much for purchased our items. We’re really appreciated it and hope you enjoy it! If you need support, all support will be conducted through our support forum (https://www.templatemela.com/support/). We usually get back to you within 48hours. (except holiday seasons which might take longer). Sport Opencart Responsive Theme is designed for sport, fitness, gym, shopping and games stores. 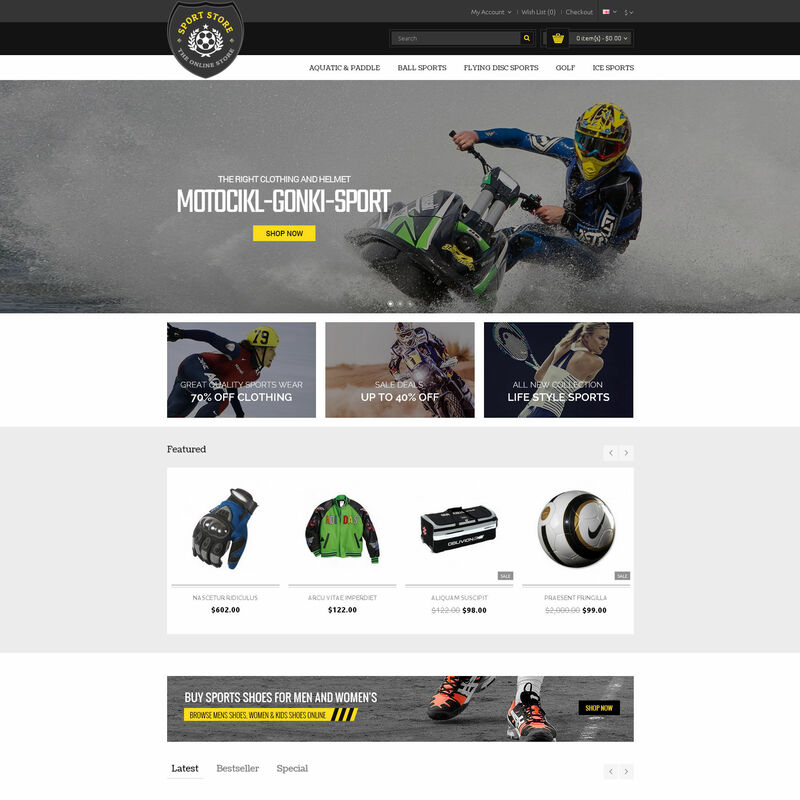 Sport Opencart Responsive Theme is looking good with colors combination. All sub pages are customized. It is very nice with its clean and professional look.